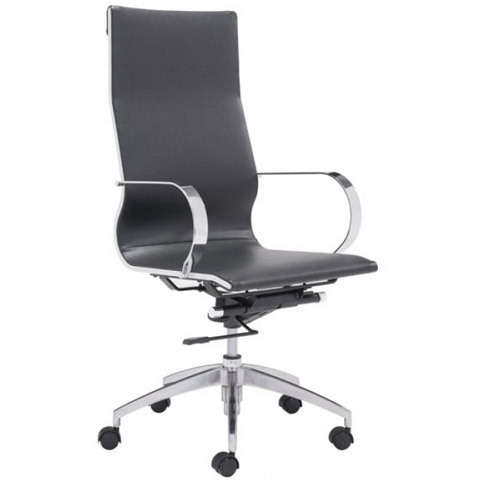 Sleek and stylish, the Glider Hi Back Office Chair is modern simplicity at its finest. 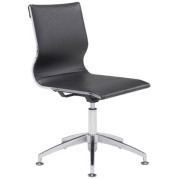 Glider offers a smooth leatherette seat and back, wrapped in a cool chrome frame with arms. 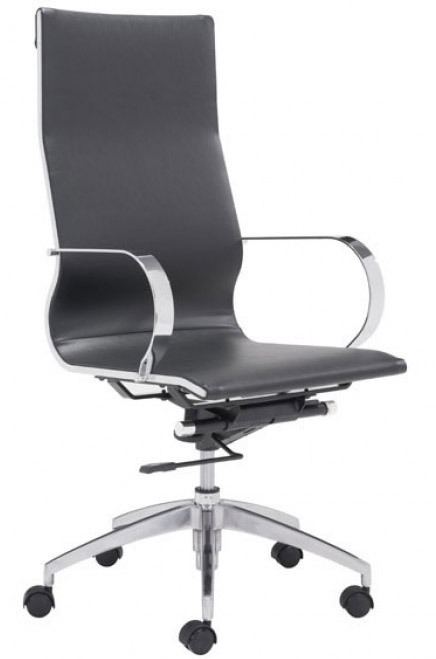 Beneath, the five star rolling base is constructed from brushed aluminum, adding function to Glider's striking form. 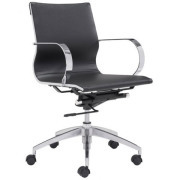 Seat height: 18-20.5".